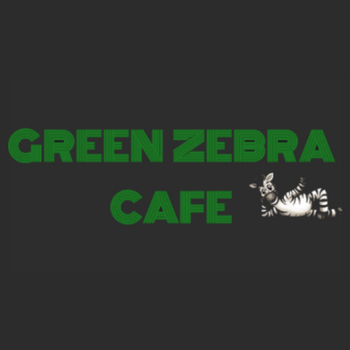 Green Zebra Cafe is a family owned restaurant located on the beautiful St Armands Circle in Sarasota, Florida. Our menu ranges from satisfying sandwiches and salads to more adventurous offerings, such as raw entrees and raw desserts. We offer an extensive list of blended smoothies and cold pressed juices, wellness shots and elixirs, as well as a wide variety of gluten free, dairy free and vegan options. Everything is prepared in our sustainable kitchen from our original recipes, using the best available organic and local ingredients. At Green Zebra, we care about environment, our furniture is made of repurposed materials, we use recyclable and compostable take out containers and paper products, eco-friendly cleaning products. Our water used for drinks and food preparation is purified by Tensui water system. HOURS: Monday - Saturday: 9AM - 7PM. Sunday 9AM - 5PM. Hours may change, during the season we may open earlier or we may stay open late, please phone: (941)388-2848 -2848 for any changes.